This title is available as a free PDF download. 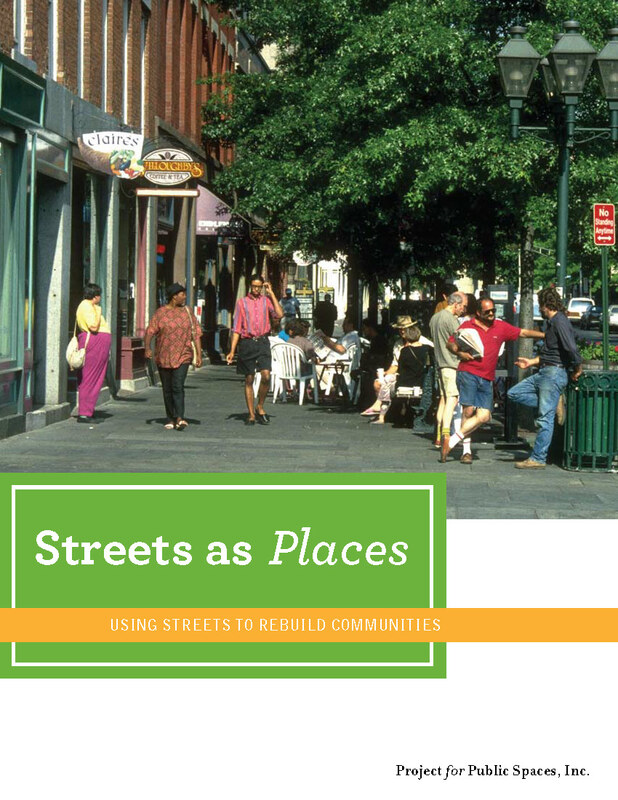 In 2008, PPS partnered with the American Association of Retired People (AARP) to publish three books on streets and transportation. The publications are a joint effort of PPS’s “Building Community Through” campaign, which seeks to transform transportation policies and practice that currently prioritize moving people and goods over creating walkable, healthy and sustainable places, and AARP’s “Livable Communities” initiative, which aims to ensure affordable and appropriate housing, supportive community features and services, and adequate mobility options for aging Americans. In conjunction with the series, PPS will present a series of webinars for AARP volunteers and the general public. The first in the series, Streets as Places, focuses on an expanded view of transportation in which people, not cars, become the driving force in shaping our cities and towns. The handbook includes amenities, traffic calming techniques, activating transit stops, and countless case studies.